Everyone who's come into my studio this past week has shrieked and cooed over these little posh purses. I've finally got them photographed and up for sale in my Etsy shop — and I'm guessing they'll go fast! These sweet wool, llama-hair, and feathered clutches feel so soft and sumptuous in the hand — adding a bit of everyday glamour to your life. Hope one finds its way to you soon! I made several nuno-felted scarves to show at my fall workshop, but the class got cancelled... rats! The good news is that it got rescheduled for next year and we've already got several people interested. If you'd like to learn more about it, drop me an email. The other good news is that I've got loads of scarves to give away as gifts and to sell in my Etsy shop. Here's one of my faves — an eclectic mix of canoodling stripes. 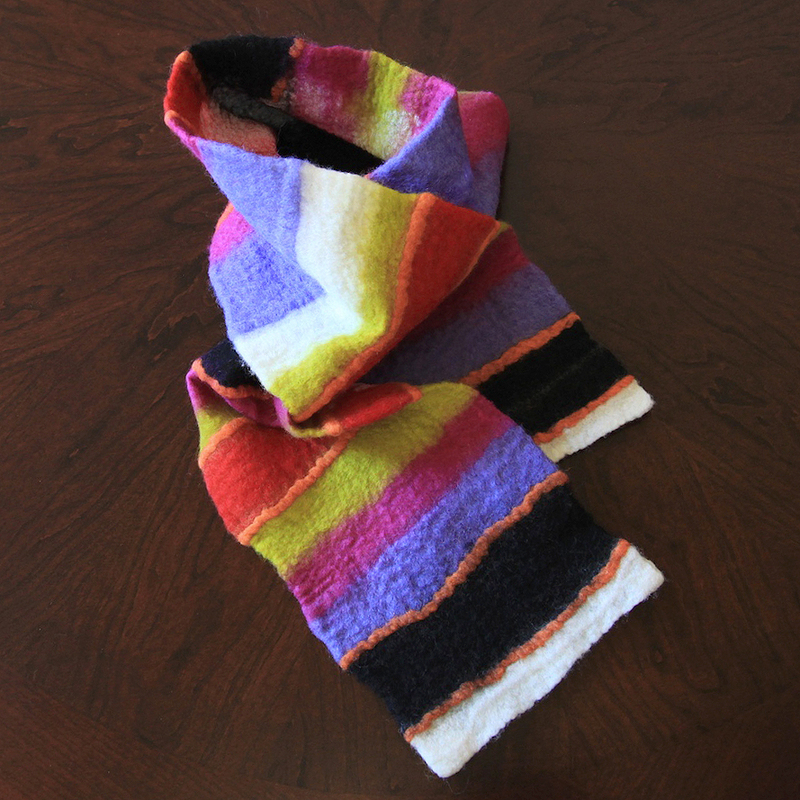 I hope to get this into my Wildly Woolly shop soon — let me know what you think. Happy autumn! UPDATE: Item has sold. 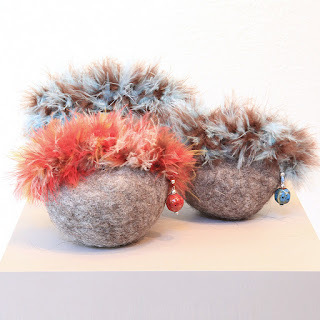 At our house making felted balls is akin to baking pumpkin pies and decking the halls — it marks the beginning of the holiday season. 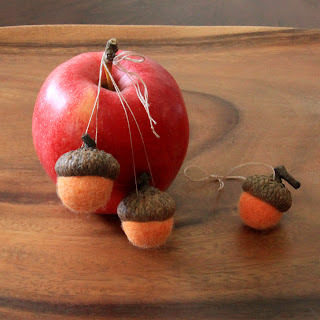 Last week we dyed merino wool a lucsious orange with our favorite non-toxic dye: kool-aid :) And then we drilled large handsome acorn caps and made these charming ornaments for Wildly Woolly's Etsy shop. 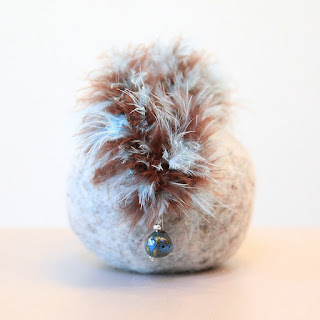 Learn how to make your own felted acorn ornaments — watch my how-to video.